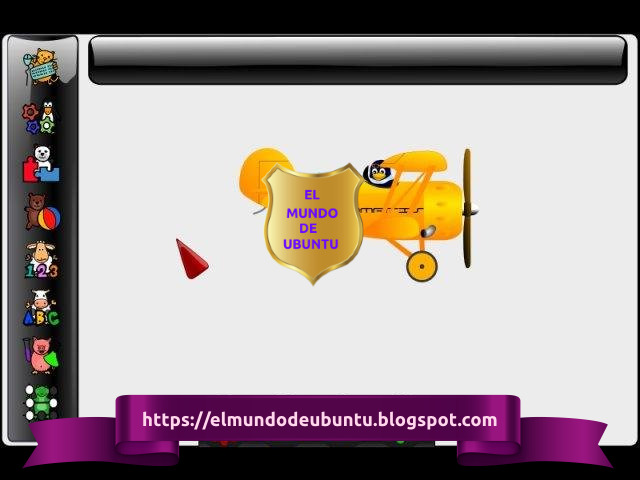 Tutoriales, noticias, programas, trucos, escritorios linuxeros, software, noticias para Ubuntu. 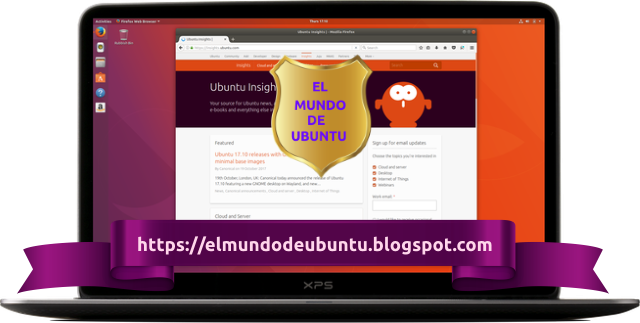 Todo sobre Ubuntu y Linux para los amantes de este sistema. Ubuntu 19.04 Disco Dingo y derivadas ya están disponibles para las descargas. Con la precisión a la que nos tiene acostumbrados Canonical ha publicado la versión oficial de Ubuntu 19.04 Disco Dingo y derivadas. Ubuntu 19.04 viene con la última versión de escritorio GNOME 3.32, cuyo rendimiento se ha mejorado en las últimas versiones y tiene una gran cantidad de fallos corregidos y Linux 5.0 la flamante nueva versión del kernel. 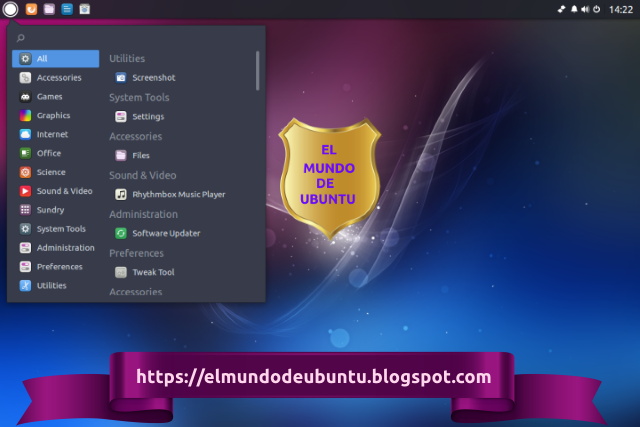 A través del portal de Distrowatch todas las características de la nueva Ubuntu y las instrucciones pra las descargas. 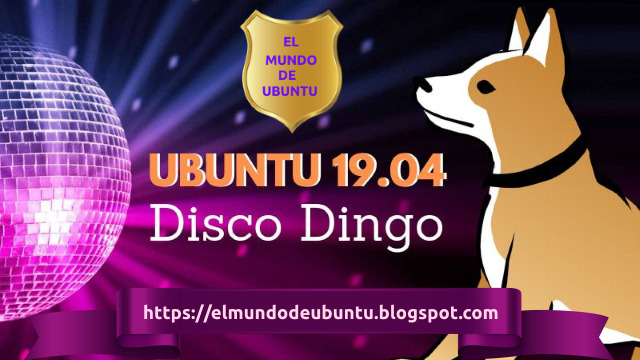 Todas las versiones de Ubuntu 19.04 "Disco Dingo". A continuación todas las versiones de Ubuntu 19.04 "Disco Dingo" y sus respectivas derivadas. Martin Wimpress has announced the launch of Ubuntu MATE 19.04 which ships with version 1.20 of the MATE desktop and updated video drivers. "Ubuntu MATE 19.04 is shipping with MATE Desktop 1.20. Albeit, the latest maintenance release of MATE Desktop 1.20 with some of the bug fixes and new features from MATE Desktop 1.22 included. In fact, the version of MATE Desktop being shipped in 19.04 is derived from the same MATE packages that will feature in the upcoming Debian 10 (Buster) release. You may be wondering why we're not shipping MATE Desktop 1.22? The answer: stability. MATE Desktop 1.22 introduces some underlying API changes in core components and while all first party MATE Desktop applications are compatible with the changes and completely stable, some third party applications are not. Some third party applications are big crashers now and we've not been able to fix them in time. So, we are playing it safe and sticking with MATE Desktop 1.20 and working with upstreams so we can land MATE Desktop 1.22 early in the Ubuntu MATE 19.10 development cycle." Further information can be found in the project's release announcement and in the Ubuntu release notes. Download: ubuntu-mate-19.04-desktop-amd64.iso (1,988MB, SHA256, signature, torrent, pkglist). Also available from OSDisc. Ubuntu Mate 19.04 “Disco Dingo”. Ubuntu Mate 19.04 "Disco Dingo". Leer también: Canonical lanza parches de seguridad para todas las versiones de Ubuntu compatibles. Ubuntu Studio 19.04 “Disco Dingo”. Ubuntu Studio 19.04 "Disco Dingo". The Ubuntu Studio team has published a new release, Ubuntu Studio 19.04. The new release is supported for nine months and ships with a new audio plugin host called Carla. "Officially released on April 15, 2019, Carla 2.0.0 has been added to Ubuntu Studio to replace the outdated jack-rack and add more functionality. Carla is an audio plugin host that can handle many different types of plugins, from Ladspa to DSSI to LV2 to VST. In fact, if you install the WINE bridge (not installed by default), Carla can host Windows-compiled VST plugins. Carla can also act as a plugin itself, allowing your DAW to use any audio plugin. Carla also includes a patchbay, which is functionally similar to that of Patchage. Ubuntu Studio Controls has been upgraded to 1.7 with many bugfixes, and is now the preferred method for starting Jack. As such, we ask that you discontinue use of QJackCtl for starting Jack. QJackCtl remains a good way to monitor Jack’s performance and logs." Further details on the project's latest version can be found in the distribution's release announcement. 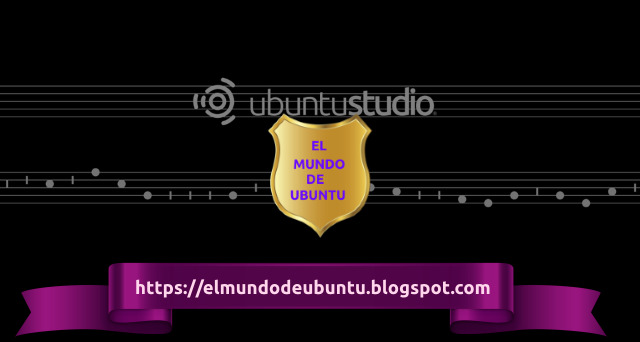 Download: ubuntustudio-19.04-dvd-amd64.iso (3,132MB, SHA256, signature, torrent, pkglist). Also available from OSDisc. Ubuntu Budgie 19.04 “Disco Dingo”. Ubuntu Budgie 19.04 "Disco Dingo". The Ubuntu Budgie team has announced the release of Ubuntu Budgie 19.04 which received nine months of support. The new version includes a number of bug fixes and swaps out the Nautilus file manager for Nemo. "19.04 is supported for 9 months; our 18.04 LTS is supported for 3 years. Based on 18.04 and 18.10 experiences, feedback and suggestions that we have received from our users, the new release comes with a lot of new features, fixes and optimizations. This release is a big step towards our 20.04 LTS. Here is what you can expect with the new release: showcasing the latest Budgie desktop developments Budgie desktop v10.5 is now officially available; showcasing the latest budgie-applets available; replacing Nautilus for Nemo - retains desktop-icons capability with all the features of Nemo such as dual pane etc + integrated catfish search - lookout for our nemo-extensions in budgie-welcome recommendations; stylish reworking of our desktop together shipping a new theme QogirBudgie which can be chosen together with Pocillo and Arc; integrating all of this together with the major GNOME developments of GTK+3.24 and Mutter 3.32." Further information can be found in the project's release announcement and in the release notes. Download: ubuntu-budgie-19.04-desktop-amd64.iso (1,703MB, SHA256, signature, torrent, pkglist). Also available from OSDisc. The Kubuntu team has published Kubuntu 19.04, a new release which ships with KDE Plasma 5.15, Qt 5.12 and Linux 5.0. The new version includes nine months of security updates. The release announcement states: "Kubuntu 19.04 has been released, featuring the beautiful Plasma 5.15 desktop from the KDE community. 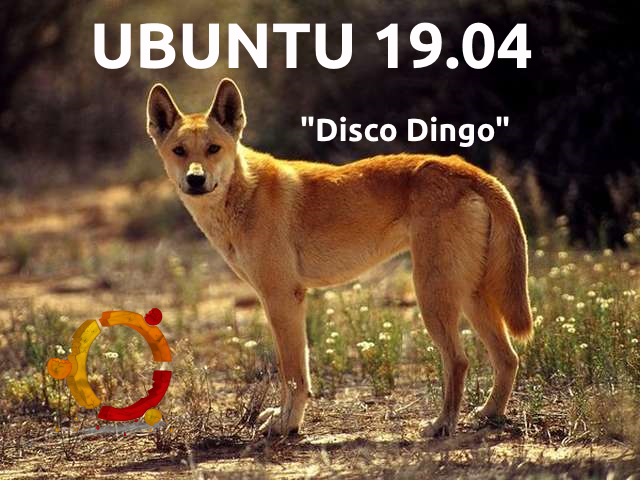 Code-named Disco Dingo, Kubuntu 19.04 continues our proud tradition of integrating the latest and greatest open source technologies into a high-quality, easy-to-use Linux distribution. The team has been hard at work through this cycle, introducing new features and fixing bugs. Under the hood, there have been updates to many core packages, including a new 5.00-based kernel, Qt 5.12, KDE Frameworks 5.56, Plasma 5.15.4, and KDE Applications 18.12.3. Kubuntu has seen some exciting improvements, with newer versions of Qt, updates to major packages like Krita, KDE Connect, Kstars, Latte-dock, Firefox and LibreOffice, and stability improvements to KDE Plasma. For a list of other application updates, upgrading notes and known bugs be sure to read our release notes." Download: kubuntu-19.04-desktop-amd64.iso (1,827MB, SHA256, signature, torrent, pkglist). Also available from OSDisc. The Lubuntu team has published a new version of their distribution. Lubuntu 19.04 provides nine months of support and ships with version 0.14.1 of the LXQt desktop environment. Unlike most other community flavours of Ubuntu which use the Ubiquity installer, Lubuntu uses the Calamares system installer. "This is the second Lubuntu release with LXQt as the main desktop environment. The Lubuntu project, in 18.10 and successive releases, will no longer support the LXDE desktop environment or tools in the Ubuntu archive, and will instead focus on the LXQt desktop environment. You can find the following major applications and toolkits installed by default in this release: LXQt 0.14.1; Qt 5.12.2; Mozilla Firefox 66, which will receive updates from the Ubuntu Security Team throughout the support cycle of the release; the LibreOffice 6.2.2 suite, with the Qt 5 frontend; VLC 3.0.6, for viewing media and listening to music; Featherpad 0.9.3, for notes and code editing; Discover Software Center 5.15.4, for an easy, graphical way to install and update software; the powerful and fast email client Trojitá 0.7 to get you to inbox zero in no time." Further details can be found in the project's release announcement. Download: lubuntu-19.04-desktop-amd64.iso (1,580MB, SHA256, signature, torrent, pkglist). Also available from OSDisc. 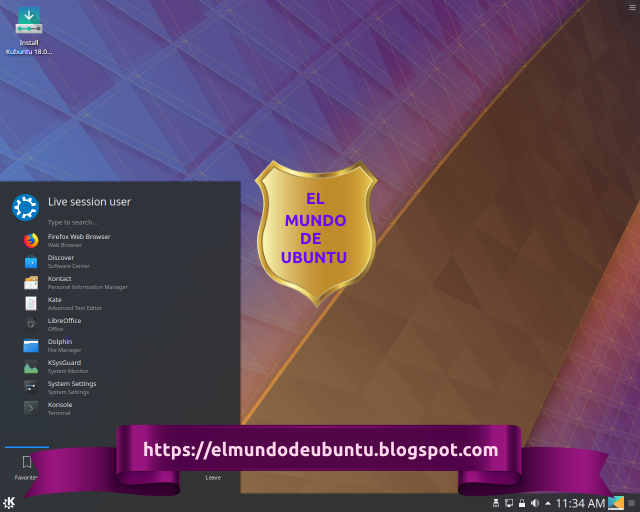 Leer también: Ubuntu 19.04 “Disco Dingo” nuevas características y todo lo importante asociado con ella. Ubuntu Kylin 19.04 “Disco Dingo”. Ubuntu Kylin 19.04 "Disco Dingo". The team behind Ubuntu Kylin has published a new version of their distribution which introduces a new visual style. The project's new release, Ubuntu Kylin 19.04, introduces transparency effects to the application menu, adds a preview function to the file manager and provides nine months of support. "In April 19th, 2019, We are glad to announce the official release of open source operating system Ubuntu Kylin 19.04 (Disco Dingo). In this version, OS stability is our first goal to obtain. In order to provide a better experience for users, a series of improvements are made on system kernel, basic service, desktop environment and specialized apps. In addition, other open source distribution such as Ubuntu 19.04、Lubuntu 19.04 and Ubuntu Mate 19.04 are released in the same time. We are bringing a whole new visual experience in this distribution, from system choice, boot up animation, log in program to system desktop, a unified style is presented. Amazing transparency effect is utilized on start menu, taskbar and notification area, give your desktop a sense of technology. Practical functions are provided to simplify your daily operations." Further details can be found in the release announcement (Chinese, English). 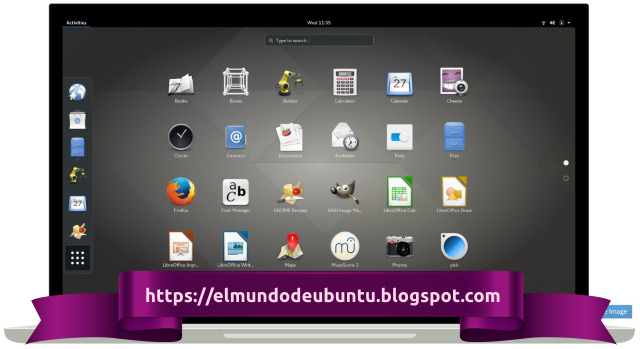 Download: ubuntukylin-19.04-desktop-amd64.iso (2,195MB, SHA256, signature, torrent, pkglist). Canonical lanza parches de seguridad para todas las versiones de Ubuntu compatibles. En estos días, Canonical ha lanzado un parche de seguridad para el kernel de Linux que puede resolver más de 20 vulnerabilidades recientemente descubiertas en la serie del kernel de Linux 4.18, 4.15, 4.4 y 3.13. La actualización está claramente disponible para todas las versiones compatibles, comenzando con Ubuntu 18.10 (Sepia Cósmica), Ubuntu 18.04 LTS (Castor Biónico), Ubuntu 16.04 LTS (Xenial Xerus), Ubuntu 14.04 LTS (Trusty Tahr) y como es lógico ya sea, incluso para los derivados oficiales como Kubuntu, Xubuntu, Lubuntu. CVE-2019-7221: vulnerabilidad de uso libre en el subsistema KVM del kernel, cuando se usan máquinas virtuales anidadas. De hecho, un atacante local en una máquina virtual invitada podría usar esto para provocar una denegación de servicio o posiblemente ejecutar código arbitrario en el sistema host. Invitamos a todos los usuarios a actualizar inmediatamente sus sistemas a nuevas versiones del kernel, ya que las actualizaciones ya están disponibles en los repositorios oficiales de Ubuntu para sistemas de 32 y 64 bits, dispositivos Raspberry Pi 2, entornos de nube, procesadores OEM, procesadores Snapdragon, Servicios web de Amazon (AWS), Google Cloud Platform (GCP), Microsoft Azure Cloud y sistemas Oracle Cloud. Para ver el informe completo sobre las vulnerabilidades resueltas, le recomendamos que visite la siguiente página. 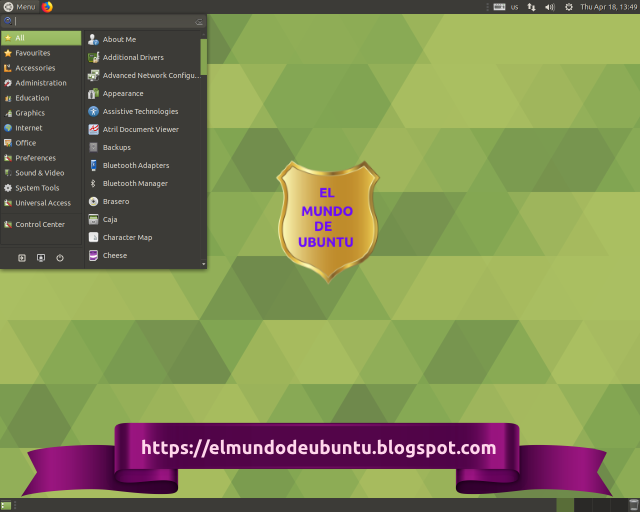 Ubuntu 19.04 “Disco Dingo” nuevas características y todo lo importante asociado con ella. Como sabemos en la nueva versión de Ubuntu, de acuerdo a la nueva política de Canonical, no ha habido versiones alfa sino una versión beta oficial publicada hace un par de semanas para ir testeándola y corregir eventuales bugs. A pocos días del lanzamiento oficial previsto para el próximo 18 de abril quienes aún no lo hayan hecho pueden descargar la beta directamente desde este enlace. Las novedades no son demasiado significativas. Sin embargo es bastante significativo el peso de esta versión beta que supera los 2 GB. Algo verdaderamente inusual en estas versiones no estables de Ubuntu. Pesa más la beta de cualquiera de las anteriores versiones definitivas. Veamos, hasta ahora, cuáles serán las novedades aportadas a la nueva versión “Disco Dingo”. Las novedades en Disco Dingo. Ubuntu 19.04 llegará con la última versión de GNOME 3.32 , ofrecerá Mesa 19.0 y utilizará Linux Kernel 5.0 entre otras novedades. GNOME llega con nuevas versiones de GTK+ y Flatpak. GNOME 3.32 incluye muchas características nuevas y mejoras para aquellos que trabajan con las tecnologías de GNOME. Flatpak es la nueva tecnología para distribuir e instalar aplicaciones. Aunque es independiente de GNOME, Flatpak es cada vez una parte más importante de la experiencia del desarrollador de GNOME, y está integrado en el mismo. Mesa 19.0 compatible con Vega. La nueva versión de Mesa trae docenas de nuevas características, nuevas extensiones e innumerables correcciones de errores. Entre los aspectos más destacados de esta nueva serie destacan la compatibilidad con las GPUs AMD Radeon Vega 10, Vega 20 y Vega M, la compatibilidad con GNU Hurd y LLVM 7. Linux Kernel 5.0 "Shy Crocodile"
El “cocodrilo tímido” si podemos traducir en algún modo esta nueva manía de adjetivar con el nombre de un animal cada nueva versión, viene con algunas mejoras, pero quizás menos importantes de las que podrías esperar después de tantas expectativas. Pero como ya sabrás los números de versión en Linux no siguen unas pautas fijas, sino que van más en consonancia con los cambios de humor de Linus Torvalds. Soporte para la tecnología AMD FreeSync. Encriptación de datos mediante Adiantum, desarrollado por Google. Soporte Btrfs para archivos swap (partición de intercambio). Soporte para la pantalla táctil de 7″ de la Raspberry Pi. Nueva fuente adaptada para pantallas HiDPI que se usará en el terminal. Reducción de consumo energético para dispositivos ARM gracias al big.LITTLE Energy Aware Scheduling. Soporte de teclas de acceso directo para los portátiles ThinkPad de Lenovo y portátiles de ASUS. Mejora de scroll en los ratones Logitech. Integración de Android utilizando GSConnect. 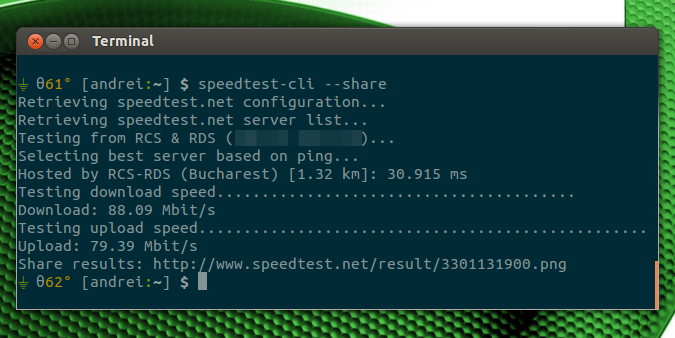 GSconnect no estará predeterminado en Ubuntu 19.04 (pero está disponible en el repositorio). Nautilus ya no admite iconos de escritorio. El administrador de archivos Nautilus ya no admite iconos de escritorio. Para llenar el vacío, los desarrolladores de Ubuntu envían la extensión de iconos de escritorio por defecto. Es una solución viable, pero lejos de ser perfecta. 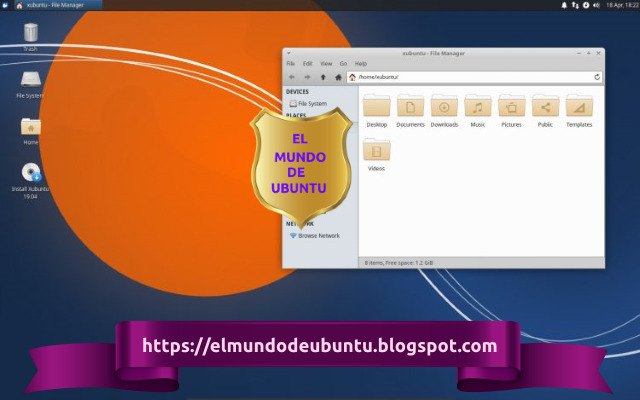 Una de las características principales de Ubuntu 18.10 fue el nuevo y brillante tema predeterminado llamado Yaru. Sin embargo, el tema no era compatible con los íconos de varias aplicaciones de terceros. Los íconos regulares de estas aplicaciones no se mezclaron con el resto de la tema . Afortunadamente, Yaru ahora está extendido y es compatible con más aplicaciones de terceros. Control granular en la luz nocturna. Night Light no es una característica nueva en el escritorio de GNOME. Sin embargo, ahora puede ajustar el 'calor' o la intensidad de la luz nocturna a su gusto. La configuración de audio se ha actualizado. La misma cuenta gratuita de siempre, la mayor y mejor del mercado. Creada y mejorada desde 0. 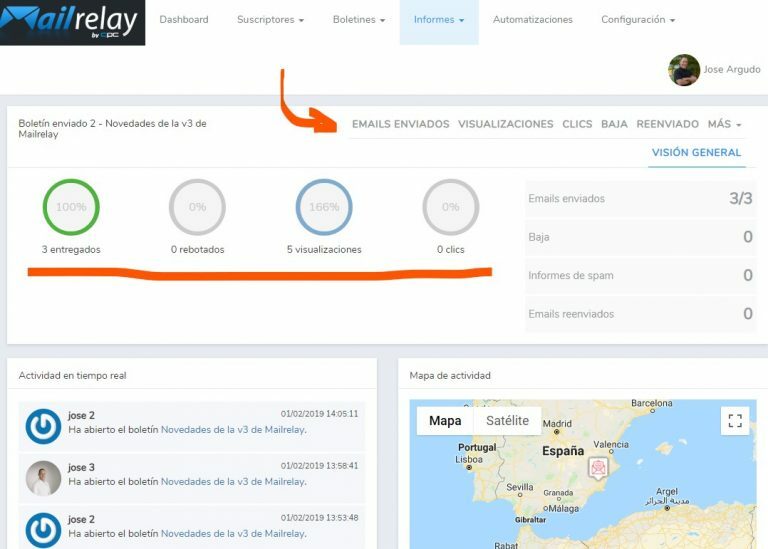 Así podríamos definir a la nueva versión de Mailrelay, la popular herramienta de email marketing con la que puedes enviar mailings, crear newsletters, gestionar tu lista de suscriptores o analizar tus campañas de email de manera cómoda y sencilla. La nueva versión de Mailrelay. En su nueva versión Mailrelay resulta todavía más intuitiva y fácil de utilizar, mejora la usabilidad y añade muchas funcionalidades nuevas que te resultarán de gran utilidad. La misma cuenta gratuita de siempre. Es importante destacar, antes de empezar a repasar las novedades que te ofrece Mailrelay en su nueva versión, que la cuenta gratuita que te ofrece esta estupenda plataforma no ha cambiado para nada. 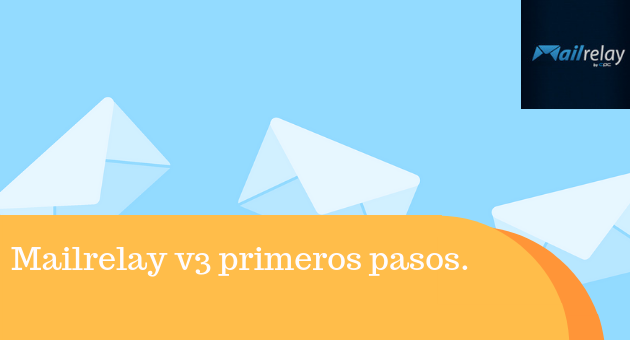 Como es tradicional, Mailrelay te permite crear una cuenta completamente gratis para gestionar hasta 15.000 suscriptores y enviar hasta 75.000 emails al mes, que ofrecerán nuevas opciones para que todas tus acciones se vean coronadas por el éxito. La herramienta ha sido creada y mejorada desde cero, aplicando la experiencia de Mailrelay de más de 15 años en el sector y teniendo en cuenta los comentarios y peticiones de los clientes. Las novedades en la nueva versión. La primera mejora que podemos observar se encuentra en el Dashboard principal. Gracias al menú superior y el resumen de las últimas campañas, resulta más ágil revisar el estado de las campañas y es más rápido moverse por la herramienta. Nuevo y potente editor Drag & Drop. 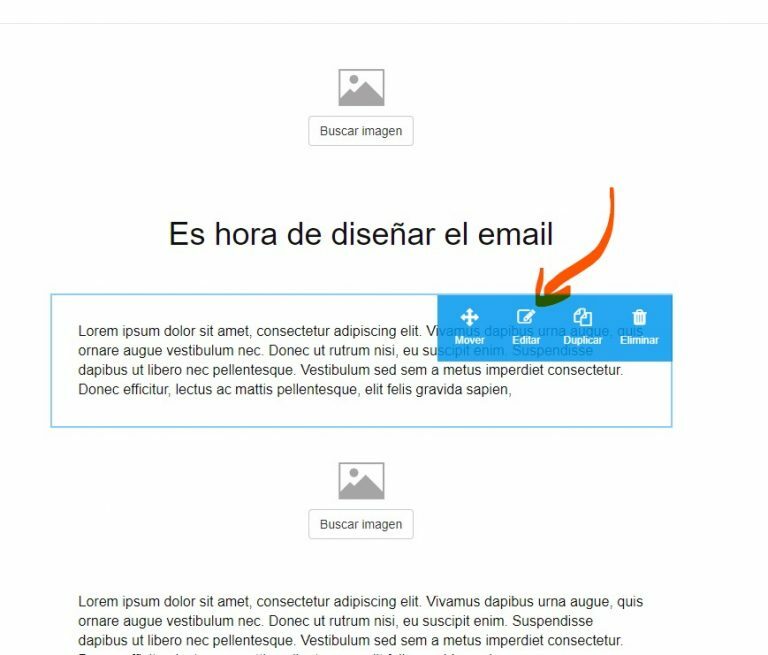 Otra de las novedades de la web de Mailrelay es el nuevo y potente editor Drag & Drop. Esta nueva característica te permite confeccionar tus newsletters con solo arrastrar y soltar los módulos que te gustaría incluir, como texto, grupos de imágenes, vídeo, columnas o bloques para las redes sociales. Las estadísticas optimizadas de Mailrelay presentes en la nueva versión te permitirán medir y analizar mejor los resultados de tus campañas. Ahora encontrarás más información en tiempo real para conocer a fondo cómo ha funcionado tu emailing. De esta manera podrás introducir a tiempo las modificaciones necesarias para mejorar la rentabilidad de tus campañas. Las estadísticas están incluidas en la cuenta gratuita y, entre otros datos, te permiten conocer quiénes han abierto el email, en qué lugar, fecha y hora, cuáles son los enlaces con más clics, etc. Entre las nuevas funciones de Mailrelay también encontrarás la posibilidad de utilizar los nuevos segmentos dinámicos además de la segmentación tradicional por grupos, o los automatismos mejorados y ampliados en base a registros, clics o aperturas. Sencillo editor HTML y plantillas predefinidas. 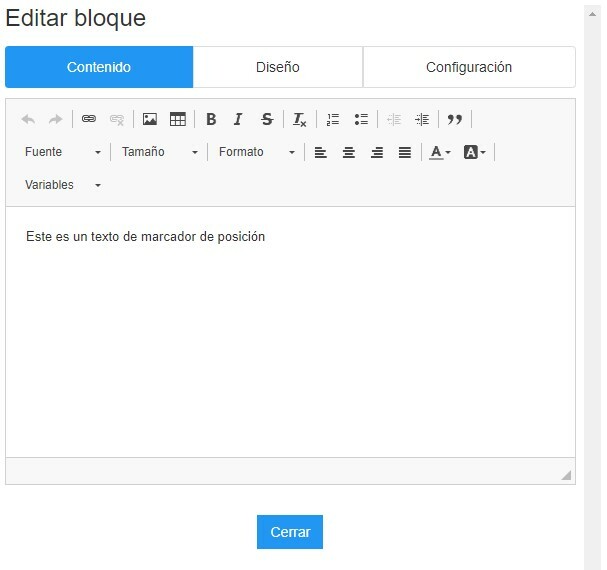 El nuevo editor HTML es muy fácil de usar. Es muy similar al que utilizan WordPress, Joomla! u otros CMS, y permite elaborar tu email y comprobar el nivel de SPAM del mismo, fácil y rápidamente. No es necesario poseer conocimientos de HTML, gracias a la facilidad de uso del editor y la disponibilidad de plantillas predefinidas. Mailrelay es una de las cuentas gratuitas más completas que puedes encontrar en el mercado. Usada por más de 200.000 clientes en todo el mundo, entre los que se encuentran grandes empresas como Mediaset España, ASUS, Save the Children, Oxford University Press, Ibero Cruceros, Seat, Senado de la República de Colombia, Smartbox o Aero México, por solo citar algunas, ONGs y bloggers de todas las latitudes, Mailrelay es una herramienta que merece ser tenida en cuenta. No dejes pasar esta oportunidad y comprueba por ti mismo todas las novedades mencionadas anteriormente. Aprovecha las nuevas funciones de Mailrelay para crear, administrar y medir tus campañas de emailing. Entra en la web oficial y explora todas las posibilidades que Mailrelay pone a tu disposición en la cuenta gratuita. Además, si sigues a la plataforma en Facebook y Twitter tendrás la posibilidad de gestionar una base de datos de hasta 15.000 contactos y de enviar hasta 75.000 correos electrónicos al mes, y todo ello sin restricción de tiempo. Si eres un usuario habitual de Mailrelay las nuevas características que puedes encontrar y analizar en su web te facilitarán mucho la tarea de crear, administrar, gestionar y analizar los resultados de tus campañas. 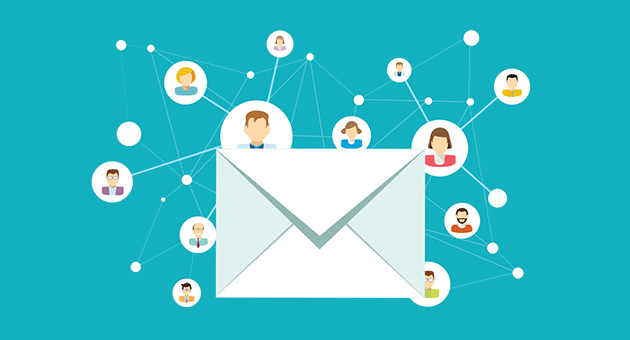 Si, por el contrario, todavía no conoces esta herramienta de email marketing, presta atención a las nuevas características y descubre cómo te pueden ayudar a sacarle el mayor provecho a tus campañas. Guía de GCompris conjunto de programas educativos de alta calidad: interfaz del usuario. Compris es un programa de cómputo educacional con diferentes actividades para niños entre 2 y 10 años de edad. Algunas actividades son como videojuegos, pero siempre educativas. Entre otros, permite aprender y practicar cálculos y texto, así como iniciarse en el manejo de una computadora. En GCompris encontrarás más de 120 juegos que enseñarán a los más pequeños cosas básicas como el funcionamiento del ordenador, cálculos matemáticos, conceptos básicos de ciencia o geografía, lectura, la hora, etc. La interfaz del usuario esta diseñada para ser manipulada fácilmente por niños pequeños. GCompris se controla a través del ratón y no puede ser utilizada sin el o algún sistema apuntador. La interfaz del usuario esta diseñada para ser manipulada fácilmente por niños pequeños. Menú principal. A la izquierda están las secciones principales. En la parte de arriba los submenús. Al iniciar el programa, GCompris muestra una interfaz gráfica que presenta una lista de las actividades con una barra de control en la parte inferior. Cada icono representa una actividad. Cuando el ratón se posiciona sobre el, la actividad el icono y el nombre de la actividad se iluminan, la descripción y el autor de la actividad se muestran en el área de descripción. Alrededor de cada uno, encontrará unos iconos pequeños que le dan información adicional acerca de la actividad. Al hacer clic sobre el icono lo llevará a una actividad o a un menú de actividades. Parlante : los archivos de audio han sido configurados para esta actividad. Parlante con una cruz roja : los archivos de audio no están instalados para el idioma seleccionado. 1, 2 o 3 estrellas * para niños entre 2 y 6 años. 1, 2 o 3 estrellas complejas * para niños mayores a los 6 años. Leer también: Guía de GCompris conjunto de programas educativos de alta calidad: introducción. Inicio - Abandona la actividad y regresa al menú previo. Pulgar - Valida o confirma tu respuesta. Algunas actividades no detectan automáticamente si el niño ha completado o no la actividad. En estos casos, debe hacer clic sobre este icono. También puede utilizar la tecla "enter" de su teclado. Dado - Muestra el nivel actual. Haga clic sobre el para seleccionar otro nivel. Generalmente, las actividades ofrecen varios niveles cuyos números dependen de las actividades. En GCompris, es posible ir al próximo nivel sin haber completado el actual. Labios - Haz que GCompris repita la pregunta. Signo de Interrogación - Muestra un dialogo de ayuda. Algunas veces, una actividad puede ser muy compleja para ser descrita fácilmente en el área de descripción. En este caso, esta función le da acceso a información adicional. Caja de Herramientas * Configuración del menú. La configuración prevalece y es almacenada en el repositorio del usuario (Carpeta) bajo el nombre .config/gcompris/gcompris.conf. Este es un archivo de texto que puede ser editado manualmente. Tux y su avión - Cuadro con información sobre GCompris, muestra a los principales contribuyentes y la versión del software. Noche - Salir de Gcompris. También puede utilizar el atajo con las teclas 'ctrl * q'. gcompris --disable-quit: deshabilita el botón "Salir". gcompris --disable-config: deshabilita el botón de "Configuración". Puede existir una combinación entre la opciones. Los cambios en la nueva versión de Gnome 3.32 presentan mejoras en varias aplicaciones. Lanzada a principios de este mes la primera versión beta de GNOME 3.32 marcó el congelamiento de la función / UI / API. Hoy ya con la segunda la segunda versión beta de GNOME 3.32 esta condición sigue inalterable. Los desarrolladores de GNOME están probando algunas mejoras audaces en el tema de Adwaita GTK y el conjunto de iconos predeterminado de GNOME. No parece sin embargo que estén todos listos para Marzo. - Epiphany ha mejorado su estilo en la barra de instrumentos cuando se ejecuta en el modo de incógnito. - GNOME-Backgrounds ha traído el nuevo fondo de pantalla predeterminado, así como fondos de pantalla suplementarios. - GNOME Bluetooth ha adquirido soporte para Microsoft Sculpt Comfort Mouse (La pestaña táctil azul de Windows personalizable que incorpora Sculpt Comfort Mouse revoluciona la relación entre hardware y software, ya que proporciona un acceso rápido y sencillo al menú Inicio, Cortana (la disponibilidad puede variar), OneNote, vista de tareas o escritorios virtuales). - El Centro de Control de GNOME tiene mejoras de interfaz de usuario mucho más receptivas. - GNOME Music ahora hará una pausa en la música al suspender el sistema. - Toda la funcionalidad no-GObject de librsvg se ha implementado en su totalidad en Rust. - Nuevos iconos y otras mejoras para Totem y Nautilus. - Varias actualizaciones para el sistema de Meson (Meson está reemplazando a GNU Build System -autotools- como herramientas de automatización de compilación.). Leer también: Entornos Gráficos para Linux. - Muchas actualizaciones de traducción. Se espera que GNOME 3.32 se lance el 13 de marzo, pero primero será el lanzamiento de la versión RC que saldrá el 6 de marzo, exactamente una semana antes. El entorno completo de GNOME. Recordemos que el entorno de escritorio GNOME no consiste únicamente en la biblioteca de elementos de control gráfico GTK+ y las aplicaciones principales que hacen uso de ella. GNOME 3.32 se ha convertido en una versión bastante agradable con muchas mejoras de Wayland, varias optimizaciones de rendimiento, eliminación de menús de aplicaciones, compatibilidad mejorada con pantalla basada en USB, múltiples GPU y muchas mejoras en varias aplicaciones. Los artículos más leídos y votados por nuestros lectores durante el año 2018. Los artículos más visitados y votados en nuestro blog durante el año 2018 han reflejado un interés bastante heterogéneo. Juegos, utilidades para el sistema operativo, editores de videos, simuladores varios y lógicamente las expectativas despertadas por cada nueva versión de Ubuntu. 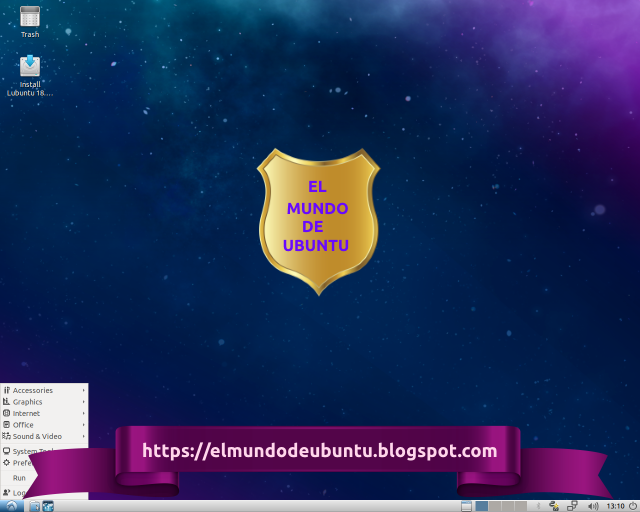 Evidente señal del interés que día tras día despierta el software libre en nuestra comunidad y, en especial, de uno de sus abanderados: Ubuntu. INSTALAR GTA SAN ANDREAS EN UBUNTU Y DERIVADOS. CÓMO CAMBIAR LA RESOLUCIÓN DE PANTALLA Y PROFUNDIDAD DE BITS EN LINUX. CÓMO INSTALAR PROTEUS 8.1, POTENTE SIMULADOR DE CIRCUITOS ELÉCTRICOS, EN UBUNTU. 10 EDITORES DE VÍDEO LIBRES PARA LINUX. 7 FORMAS DE RENOMBRAR ARCHIVOS MASIVAMENTE. CÓMO PERSONALIZAR LA TERMINAL EN UBUNTU. UBUNTU 19.04 SE LLAMARÁ DISCO DINGO EN REFERENCIA AL PERRO ORIGINARIO DE AUSTRALIA. CÓMO INSTALAR BALSAMIQ MOCKUPS EN UBUNTU. CÓMO INTEGRAR FACEBOOK EN EL ESCRITORIO DE UBUNTU. FECHA DE LANZAMIENTO DE UBUNTU 19.04 "DISCO DINGO" Y CARACTERÍSTICAS PLANIFICADAS. La fecha de lanzamiento de Ubuntu 19.04 está programada para el 18 de abril de 2019. Esta fecha aparece en el calendario de lanzamiento del borrador para Ubuntu 19.04 'Disco Dingo', que se agregó recientemente a la wiki oficial de Ubuntu. Fecha de lanzamiento de Ubuntu 19.04 "Disco Dingo". Fecha de lanzamiento de Ubuntu 19.04: 18 de abril de 2019. Què esperamos de Ubuntu 19.04? La pregunta es: ¿Qué nos esperamos verdaderamente deUbuntu 19.04? Habá novedades significativas? Parece bastante probable que 'Disco Dingo' llegue con la versión GNOME 3.32 y, si está listo a tiempo, Linux Kernel 5.0. Las características inicialmente planeadas para el lanzamiento de Ubuntu 18.10, pero que se pospusieron también se deben perfeccionar durante el ciclo de desarrollo de Disco Dingo. Leer también: Ubuntu 19.04 se llamará Disco Dingo en referencia al perro originario de Australia. Otros planes propuestos podrían ver el navegador web de código abierto Chromium y el popular cliente de juegos Steam disponible como aplicaciones Snap en la tienda Snap; el envío de la aplicación de relojes de GNOME como una aplicación predeterminada (útil para el seguimiento de la "hora mundial"); y agregar la opción para silenciar el sonido haciendo clic con el botón central en el applet de volumen en la barra superior. Es probable que la presencia de otros parches para mejorar el rendimiento y acelerar todo el periodo de inicio del escritorio sean una característica de Ubuntu 19.04, ya que continuará trabajando para hacer que el Shell de GNOME sea más útil con los dispositivos de pantalla táctil. Ubuntu 19.04 se llamará Disco Dingo. Como todavía no se sabe mucho acerca de las características de Ubuntu 19.04, hablemos de lo que sabemos y de lo que podemos suponer de esta nueva distro Canonical de nombre tan particular. Como se sabe cada versión de Ubuntu tiene el nombre en código con dos palabras que comienzan con la misma letra. Estas letras están en el orden alfabético. 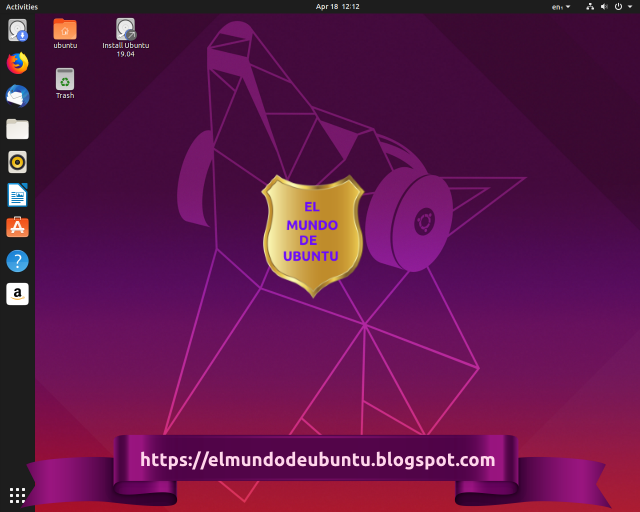 Así que después de Ubuntu 18.04 Bionic Beaver teníamos Ubuntu 18.10 Cosmic Cuttlefish. La primera palabra suele ser un adjetivo y la segunda palabra es una especie (generalmente en peligro de extinción). Al menos esto es lo que solía ser durante años. El patrón en la segunda palabra se rompió con el lanzamiento de Ubuntu 14.10 Utopic Unicorn . En lugar de una especie en peligro de extinción, era un animal ficticio. Sí, los unicornios son ficticios. Leer también: Fecha de lanzamiento de Ubuntu 19.04 "Disco Dingo" y características planificadas. El patrón se rompió de nuevo un año más tarde con Ubuntu 15.10 Willy Werewolf . No importa cuánto quieras creer, los hombres lobo no están en peligro ni son reales. Entre nuevas ideas y lenguaje gramatical. La primera palabra que solía ser un adjetivo, sin embargo "disco" es un sustantivo y un verbo pero no un adjetivo. Me pregunto por qué el equipo de Ubuntu se quedó sin ideas para un adjetivo que comienza con la letra D. Supongo que solo querían festejar. Dingo es un tipo de perro originario de Australia. No es una especie en peligro de extinción, pero al menos es un animal real. Si Ubuntu fuera por un nombre elegante con animales ficticios, Disco Dragon habría sido mucho más divertido a su manera. No hay un calendario de lanzamiento oficial para Ubuntu 19.04 Disco Dingo todavía. Sin embargo, usted puede fácilmente hacer algunas conjeturas. Probablemente ya conoce la lógica detrás del número de versión de Ubuntu. 19.04 será lanzado en el mes '04' del año '19'. En otras palabras, será lanzado en abril de 2019. Pero ese es el mes. ¿Qué pasa con la fecha de lanzamiento exacta? Teniendo en cuenta que una versión no LTS de Ubuntu sigue un programa de 26 semanas, será seguro predecir que Ubuntu 19.04 se lanzará el 18 de abril de 2019 . 9 nuevas características en Ubuntu 18.10 “Cosmic Cuttlefish”. Con la puntualidad que la caracteriza Canonical ha publicado la nueva versión de Ubuntu con todas sus derivadas oficiales. Es hora de echar un vistazo a lo que viene a esta nueva versión. Los nombres de código de Ubuntu están en orden alfabético incremental, ahora tenemos Cosmic Cuttlefish después de Ubuntu 18.04 Bionic Beaver. Estos nombres en código están compuestos por un adjetivo y un animal, ambos comienzan con la misma letra. GNOME 3.30 fue lanzado en septiembre 2018. Ubuntu 18.10 tendrá esta nueva versión de GNOME. Nuevos temas e iconos por defecto. Se suponía que Ubuntu 18.04 tendría una nueva apariencia con la comunidad desarrollada bajo el nombre de Communitheme . Este tema no se pudo completar a tiempo para la versión 18.04. Ubuntu 18.10 ahora tiene el tema de la Comunidad Yaru instalado de forma predeterminada, lo que le da un aspecto fresco y deslumbrante. Mayor duración de la batería para portátiles. Siguiendo el ejemplo de Fedora 28 , Canonical (empresa matriz de Ubuntu) también está trabajando para mejorar la duración de la batería de las computadoras portátiles. El kernel de Linux tiene opciones para cambiar los controladores de disco duro, los controladores USB y otros dispositivos similares a un estado de bajo consumo cuando no están en uso. Esto reduce el consumo general de energía y, por lo tanto, mejora la vida útil de la batería. Sin embargo, hacer esto automáticamente causa problemas y es por esto que Ubuntu no tuvo este comportamiento habilitado en el pasado. El equipo de desarrollo de Ubuntu está explorando aún más estas opciones para ver qué se podría hacer para mejorar la vida útil de la batería sin afectar la estabilidad del sistema. Soporte para escáner de huellas digitales. Ubuntu 18.10 tendrá soporte para escáner de huellas dactilares. Esto significa que si su computadora tiene un escáner de huellas dactilares, podrá desbloquear su sistema Ubuntu con huellas dactilares. Mejora del tiempo de inicio y soporte de portales XDG para aplicaciones Snap. Siguiendo con su enfoque en los paquetes Snap , Canonical le está aportando algunas mejoras útiles. Las aplicaciones instantáneas tardarán menos tiempo en iniciarse. Ubuntu 18.10 tiene Linux Kernel 4.18. Esta versión del Kernel tiene algunas mejoras para AMD y Nvidia GPU, USB Type-C y Thunderbolt, y optimizaciones de rendimiento en CPUfreq entre otras muchas características. Ubuntu GNOME predeterminado ha dejado de proporcionar ISO de 32 bits desde la versión Ubuntu 17.10. Algunos otras derivadas de Ubuntu como Ubuntu MATE, Kubuntu, etc., todavía ofrecen descargas iso de 32 bits hasta la versión 18.04. Pero parece que todo está cambiando ahora. Ubuntu MATE ha anunciado que no habrá una imagen de 32 bits para Ubuntu MATE 18.10 . Ubuntu Budgie y Kubuntu también han anunciado que están lanzando la versión de 32 bits. Los usuarios existentes de 32 bits aún obtendrán soporte hasta 2023. Instalación más rápida y arranque con nuevos algoritmos de compresión. Trabajando con nuevos algoritmos de compresión como LZ4 y ztsd , Se supone que Ubuntu 18.10 tiene un arranque un 10% más rápido. La instalación también será un poco más rápida. Lo que definitivamente es una buena noticia para todos los usuarios de Ubuntu. Ubuntu Software mostrará una marca verde verificada para las aplicaciones Snap desarrolladas por el propietario de la marca. Lo mismo se puede encontrar en el sitio web de la tienda Snap recientemente rediseñado. Martin Wimpress has announced the release of Ubuntu MATE18.10. The new version ships with version 1.20.3 of the MATE desktop environment and will receive nine months of support. "Curiously, the work during this Ubuntu MATE 18.10 release has really been focused on what will become Ubuntu MATE 18.04.2. Let me explain. The upstream MATE Desktop team have been working on many bug fixes for MATE desktop 1.20.3, that has resulted in a lot of maintenance updates in the upstream releases of MATE desktop. The Debian packaging team for MATE Desktop, of which I am member, has been updating all the MATE packages to track these upstream bug fixes and new releases. Just about all MATE desktop packages and associated components, such as AppMenu and MATE Dock Applet have been updated. Now that all these fixes exist in the 18.10 release, we will start the process of SRU'ing (backporting) them to 18.04 so that they will feature in the Ubuntu MATE 18.04.2 release due in February 2019. The fixes should start landing in Ubuntu MATE 18.04 very soon, well before the February deadline. Ubuntu MATE 18.04.2 will include a hardware enablement stack (HWE) based on what is shipped in Ubuntu 18.10...." Additional information can be found in the distribution's release announcement. Download: ubuntu-mate-18.10-desktop-amd64.iso (2,006MB, SHA256, signature, torrent, pkglist). The Ubuntu Studio team has announced the release of version 18.10 of their multimedia-focused distribution. The new release enables the automatic use of JACK for removable USB audio devices and introduces PikoPixel for editing pixel part. "Ubuntu Studio Controls has historically been the app to run to get initial audio configuration set for your system. This release, Ubuntu Studio Controls has undergone a major rewrite, and has the following features: Option for changing the CPU governor; configuration of JACK, including any attached USB audio devices; configuration of the JACK-PulseAudio Bridge; configuration of the JACK-ALSA MIDI Bridge. Ubuntu Studio Controls now, for the first time ever for any JACK configuration GUI, configures JACK to automatically detect hot-plugged USB audio devices and allows you to use more than one audio device at a time. This is something you will find in no other such utility. Future plans for Ubuntu Studio Controls includes configuration of WACOM Tablets, which is something currently not available in our default Xfce desktop environment." Additional details and future plans can be found in the distribution's release announcement and in the release notes. Download: ubuntustudio-18.10-dvd-amd64.iso(3,002MB, SHA256, signature, torrent, pkglist). Continuing the Ubuntu release day news, here is the announcement of the release of Kubuntu 18.10, an official Ubuntu flavour featuring KDE Plasma 5 desktop: "Kubuntu 18.10, featuring the beautiful Plasma 5.13 desktop from KDE, has been released. Code-named 'Cosmic Cuttlefish', Kubuntu 18.10 continues our proud tradition of integrating the latest and greatest open-source technologies into a high-quality, easy-to-use Linux distribution. Under the hood, there have been updates to many core packages, including a new 4.18-based Linux kernel, Qt 5.11, KDE Frameworks 5.50, Plasma 5.13.5 and KDE Applications 18.04.3. Kubuntu has seen some exciting improvements, with newer versions of Qt, updates to major packages like Krita, Kdeconnect, Kstars, Peruse, Latte-dock, Firefox and LibreOffice, and stability improvements to KDE Plasma. In addition, Snap integration in Plasma Discover software center is now enabled by default." And some good news for the disappointed users who had hoped for the inclusion of Plasma 5.14 in Kubuntu 18.10: "Users who wish to test the latest Plasma 5.14.1 and Frameworks 5.51, which came too late in our release cycle to make it into 18.10 as default, can install these via our Backports PPA." Read the release announcementand the release notes for more information. Download: kubuntu-18.10-desktop-amd64.iso(1,781MB, SHA256, signature, torrent, pkglist). Download: ubuntu-budgie-18.10-desktop-amd64.iso(1,600MB, SHA256, signature, torrent, pkglist). The development team behind Ubuntu Kylin has announced the availability of a new version of the project's official Ubuntu flavour designed specifically for users in China. The new version comes with updated MATE 1.20 desktop and it also provides a number of desktop improvements: "We are glad to announce the release of Ubuntu Kylin 18.10 'Cosmic Cuttlefish' which comes with a series of updates in kernel, basic services, desktop environment and software to provide a newer and better desktop experience. Ubuntu Kylin 18.10 ships with a brand-new Login and Lock programs, adding functions, fixing bugs and providing a cozier and easier user experience. Notable features include: new Login and Lock programs supporting biometric identifications technologies; Start Menu - modify the loading mode of Normal Menu and support a third-party category, support special characters, add feedback; Sessions - add a new Setup wizard; Notifications - add U disk management; Panel - redesign task layout when opening too many tabs on the panel...." Read the full release announcement (available in Chinese and English) for more information and screenshots. Download:ubuntukylin-18.10-desktop-amd64.iso (1,787MB, SHA256, signature, torrent, pkglist). The Xubuntu development team has announced the release of Xubuntu 18.10, the latest version of the official Ubuntu variant with Xfce as the preferred desktop environment. This is Xubuntu's first release that uses a development build of Xfce 4.13, an upcoming version that will deploy GTK+ 3 as the default toolkit: "The Xubuntu team is happy to announce the immediate release of Xubuntu 18.10. Highlights: several Xfce components and applications were updated to their 4.13 development releases, bringing us closer to a GTK+ 3-only desktop; elementary Xfce icon theme 0.13 with the manila folder icons as seen in the upstream elementary icon theme; Greybird 3.22.9 which improves the look and feel of our window manager, alt-tab dialog, Chromium and even pavucontrol; a new default wallpaper featuring a gentle purple tone that greatly complements our GTK+ and icon themes. Known issues: at times the panel could show two network icons - this appears to be a race condition which we have not been able to rectify in time for release; in the settings manager, the mouse fails to scroll applications in settings manager (GTK+ 3 regression)." Read the release announcement and release notes for further information and screenshots. Download: xubuntu-18.10-desktop-amd64.iso (1,437MB, SHA256, signature, torrent, pkglist). We conclude the Ubuntu release day with Lubuntu, a popular Ubuntu variant which, until recently, featured the lightweight LXDE desktop. Starting with version 18.10, the distribution has finally completed its intended switch to LXQt: "Thanks to all the hard work from our contributors, Lubuntu 18.10 has been released. This is the first Lubuntu release with LXQt as the main desktop environment. The Lubuntu project, in 18.10 and successive releases, will no longer support the LXDE desktop environment or tools in the Ubuntu archive and will instead focus on the LXQt desktop environment. You can find the following major applications and toolkits installed by default in this release: LXQt 0.13.0, with many bugfixes and improvements backported from upstream; Qt 5.11.1, which is the first point release in the Qt 5.11 series; Mozilla Firefox 62, which will receive updates from the Ubuntu security team throughout the support cycle of the release; the LibreOffice 6.1.2 suite with the Qt 5 frontend; VLC 3.0.4 for viewing media and listening to music; Featherpad 0.9.0 for notes and code editing....." Read the detailed release announcement which contains a long list of interesting changes. (SHA256, signature, pkglist): lubuntu-18.10-desktop-amd64.iso(1.616MB, torrent), lubuntu-18.10-desktop-i386.iso (1,632MB, torrent). Espero que esta publicación te haya gustado. Si tienes alguna duda, consulta o quieras complementar este post, no dudes en escribir en la zona de comentarios. También puedes visitar Facebook, Twitter, Google +, Linkedin, Instagram, Pinterest, restantes Redes Sociales y Feedly donde encontrarás información complementaria a este blog. COMPARTE EN! 7 formas de renombrar archivos masivamente en Ubuntu. Todas las variantes de Ubuntu, derivadas oficiales y derivadas no oficiales dentro de la órbita Canonical.